Venus is often called the "morning star" or "evening star" since it is clearly visible at these times. 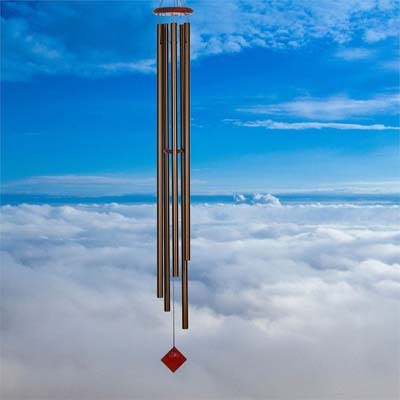 This chime is designed and handcrafted for superior musical performance. It is hand-tuned to a universal, pentatonic (five-note) scale and acts in concert with the wind to create random patterns of wonderful sound. Named for the 2nd planet from the Sun; the deepest of all Encore chimes. Venus is often called the "morning star" or "evening star" since it is clearly visible at these times. This chime is designed and handcrafted for superior musical performance. It is hand-tuned to a universal, pentatonic (five-note) scale and acts in concert with the wind to create random patterns of wonderful sound. Harmonizes beautifully with all the other Encore Collection chimes.